Baharampur (WB): Rescue workers today fished out the body of passenger of the ill-fated government bus that fell into a canal in Murshidabad taking the toll in the tragedy to 43. Search is on for more bodies as relatives of about five missing persons have sought help apprehending that they may have boarded the bus and the exact number of passengers is yet to be known, a senior district official told PTI. 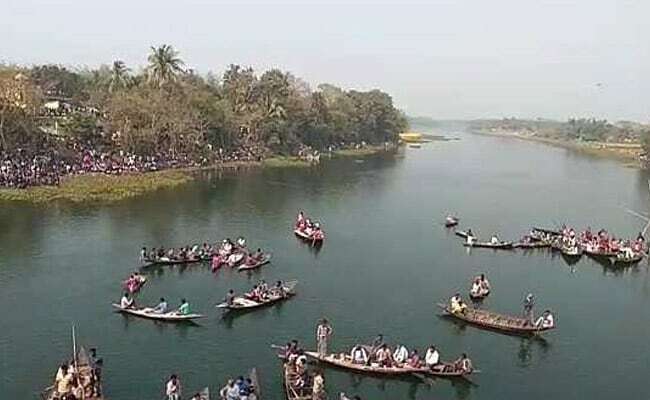 Bodies of 42 passengers were fished out and eight injured others were rescued from the Gogra canal at Balirghat area of the district after the bus fell into it early on Monday morning. So far, 40 bodies have been identified and the eight injured are undergoing treatment at the Murshidabad Medical College, the official said. "Search operations will continued till we are convinced that no bodies are stuck in the river bed. But it is quite difficult to search for bodies as it is quite dark and cold underneath the water," he said. The state government has already handed over the compensation package of Rs five lakh to the next of kin of each of those killed and Rs one lakh for those gravely injured. Other injured would get a compensation of Rs 50,000. West Bengal Chief Minister Mamata Banerjee has ordered an inspection of the bridge from which the bus fell into the canal. Meanwhile, the state government has decided to ban drivers of state-run buses from using mobiles while driving, following the bus tragedy. The decision was taken following a reported statement by a couple of passengers of the ill-fated bus who claimed that the driver was talking over his mobile phone while driving and lost control over the vehicle.